"It's time for me to explore what's next," Penati said on LinkedIn. SAN FRANCISCO: Luca Penati, president of Weber Shandwick West, is exiting the firm. In a LinkedIn post published on Friday, Penati said that March 15 will be his last day at the Interpublic Group agency, explaining that he is exploring new opportunities. "I made this crazy decision, as mom blurted out when I told her ("Luca, ma sei matto?") because after 30 years in the communications and marketing industry, it’s time for me to explore what's next [and discover] what I want to be when I grow up," he wrote. Penati has worked at Weber since 2014. He joined as EVP and GM of San Francisco and San Jose, as well as western leader of content shop MediaCo, according to his LinkedIn account. He took on his current role in summer 2017, leading the Los Angeles, San Francisco, San Jose, and Seattle offices. "I will have the opportunity to spend more time on activities and projects close to my heart and, hopefully, have a more significant impact on people and the world," Penati wrote. "Starting with my wife’s amazing nonprofit BAYCAT, who is turning 15 this year. (The nonprofit, not my wife.)" BAYCAT is a nonprofit based in San Francisco that supports "young people from historically underserved Bay Area communities in … video production, music production, animation, graphic, and web design," according to Penati’s LinkedIn account. Sara Gavin, president of North America at Weber Shandwick, said in a statement that the firm has not picked a replacement for Penati. "We are actively looking for a replacement, and we’re fully committed to continuing the great work Luca and his team have done in Weber Shandwick’s West region," Gavin said. "We are grateful for his many contributions, and we will miss him." Gavin credited Penati with having an "instrumental" role in "growing Weber Shandwick’s capabilities on the West Coast, building a strong team, and expanding our business in the West." Penati later told PRWeek, "It’s time for me to not focus on building my resume, but my eulogy." All options are on the table, possibly even a career outside comms and marketing, Penati added. "I’m a problem-solver, I like to connect the dots and use dynamic thinking to solve big problems," he said. "Consulting is probably a natural next step, but with a very strong social impact, potentially. Who knows?" Penati added that he will miss working at Weber and his colleagues, but it was time to move on. "You reach a point where it’s like, ‘Is this what I’m going to do for the rest of my life?’" he said. "It’s something I didn’t explore, because it just happened, you know, life happens. You go from one thing to another and I want to take the time to ask, ‘What’s next?’"
Prior to joining Weber, Penati worked at Ogilvy & Mather, where, over the course of nine years, he was MD of content and social, global MD of the tech practice, and co-head of the global content practice, according to his LinkedIn account. Before that, Penati spent 14 years at Edelman, where he was most recently EVP and GM for Silicon Valley. He also served as EVP and GM of Milan. 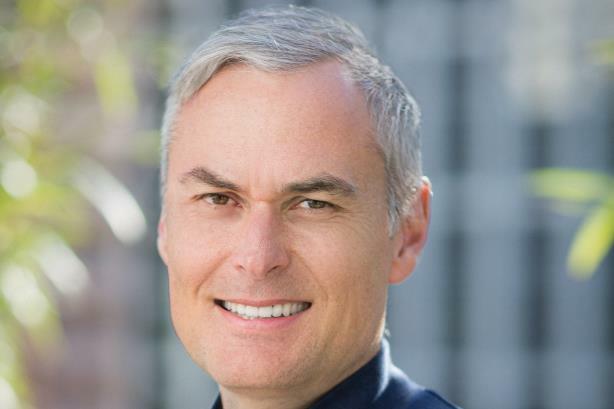 Last year, Weber Shandwick hired Lee Anderson-Brooke to lead its technology and corporate practices for its West Coast business. Anderson-Brooke joined from Edelman, where he was EVP of Bay Area tech and lead of the Silicon Valley office. In Q3 2018, Weber saw mid-single-digit revenue growth on both an as-reported and organic basis, compared with a slight organic and as-reported revenue drop in Q3 2017. The agency posted $805.5 million in revenue in 2017, flat in comparison with the year prior. This story was updated on February 1 with quotes from Penati.